To get an aerial 360º – from 100, 200, 300 or 400 feet – you don't need a drone, helicopter or airplane. 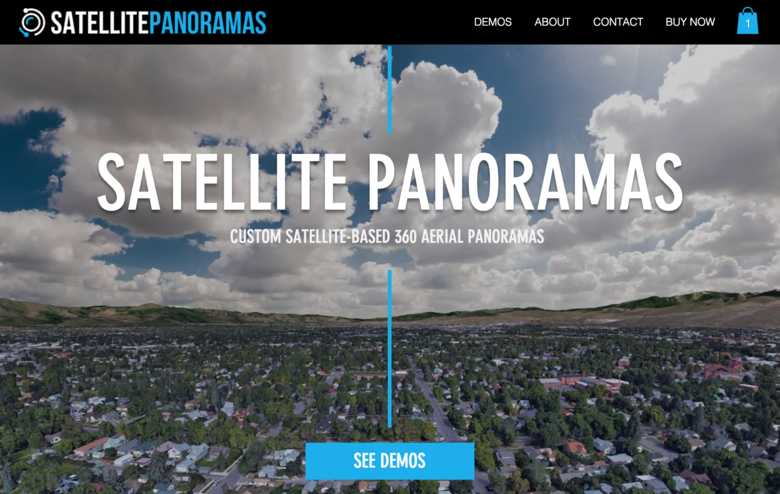 SatellitePanoramas is a custom Satellite-based 360º Aerial Panoramas service. ... and get back these results with the free web tool at: latlong.net. Receive your assembled equirectangular 360º panorama (6000 x 3000 JPG) via email within approximately 48 hours of order, not counting weekends & holidays. 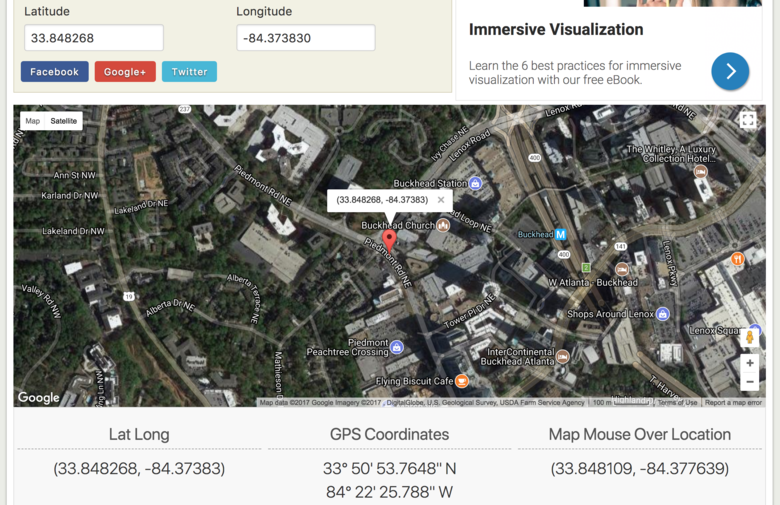 For the location you've chosen, simply enter the specific latitude, longitude and altitude. 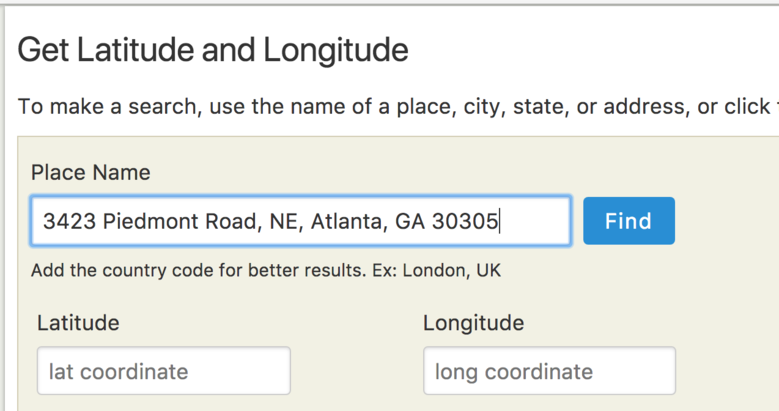 Latitude & Longitude are expected to be DECIMAL values and the altitude value will be selected from the drop down menu. If you don't know what to pick here, 300ft is often a good place to start for the majority of locations. If you are trying to highlight a specific landmark/property location, you may want to select latitude/longitude values that are slightly offset to prevent that landmark from being seen directly at the bottom (nadir) of your generated image. All sales are final, so please be sure to verify your latitude & longitude values prior to purchase! I could imagine offering satellite-based 360º aerials for $249; $349 or $499 (in no-fly zones, for example). 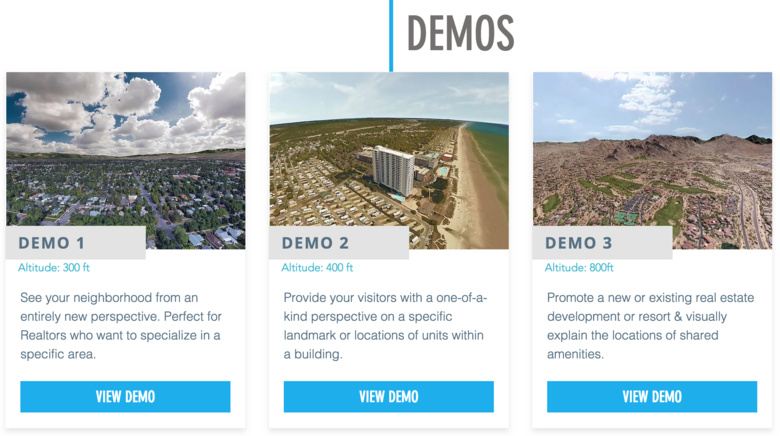 How might you use custom satellite-based 360º aerial panoramas? This is pretty good option, I did not see that it pinned the property or highlight it did I miss something? Once you have the 360º Panorama, you can annotate it within ThreeSixty Tours, for example. Can I ask are these LIVE or are they from dated Google Maps Or Google Earth? For example if a developer asked for a 360 of a building development on Thursday can it be done? The source for the Satellite 360º Panoramas are Google Earth Image Landsat / Copernicus). If you order, look at Google Earth to see when the "photo" was taken. The date in which satellite imagery was captured varies depending on location. Satellite Panoramas is not able to control how recently this imagery was captured. Be sure to check Google Earth or Google Maps (satellite view) for a preview of the location you are interested in. Got an example to share? I could imagine building a business around simply offering this service. Anyone else thinking similar thoughts? I made a 360 pano from google earth. It was so easy with ptgui and after pano2vr: the result: satellite 360 pano with hotspots and tags. If you would like: i can make a video about the process. My idea wind have been to sell it to developers for new developments but as the imagery may not be up to date that puts that plan out the window. Who do you see as the clients Dan and what application. Basically who needs this and why?? @LeventeSolczi can you post a sample of one you did to show. Yes, but i am not at that member level who can show his site. I'm very happy to present such a job if Dan allows me to take it. Yes. Please do share a video about the process. Yes. Please share a sample of one that you did. Yes. You would want to look at Google Earth to see if the imagery is up-to-date. Unlike in the movies, they don't move the satellite to shoot the imagery. Sometimes the satellite panorama will meet your needs; sometimes it won't. Since I am not an aerial photographer, I may have a different take on those that are. 1. For $49 for WGAN Basic, Standard and Premium Members ($99 for everyone else), it's an easy, fast and affordable solution to getting an aerial 360º to pair with ThreeSixty Tours (hosting and sharing). ThreeSixty Tours pairs nicely with WP3D Models - creating all kings of workflow possibilities. 2. Even if you are a drone photographer, you can run into restricted airspace. This might be a workaround. 3. I could imagine gifting it to selected clients - a thank you for your business. (If you would like this for future properties, its $199 each (nice margin). 4. I could imagine offering it free with bundle. 5. I could imagine offering as optional extra. 6. As you asked - Basically who needs this and why?? - that's the key question. I like to put things out there to see if others have ideas on this topic, in particular. Hey Dan, first post so … , not 100% sure which thread to post this to, as there seems to be a few floating around aerial imaging. This seems the best given the originator was about SatellitePanoramas, and I think what I did was just a manual process to their solution, maybe? Firstly your post was super helpful in knowing where to start on this. Kudos to the https://threesixty.tours/ simples, upload and you're done. (the fact you’ve made http://photo-sphere-viewer.js.org sooooo easy is awesome and as you can see I’ve not really used any of the markers/MP stuff etc at all, but I totally get what's available to me. My goal was to generate a 360. So as a previous member states it was pretty straight forward once you get started. And really my only existing cost was my ACC subscription, as I was using the trial of PTGui - hence the watermark on the 360 (but that is an inexpensive purchase in the whole scheme of things, and its one and done) and the free subscription to https://threesixty.tours/, mange to test in 5 attempts . 2. The KML can be loaded directly into the browser version of google earth and was easy to navigate through the 29 images you need to create, a little time consuming, minutes not hours. I'm sure I can automate that piece. 6. Obviously hugely constrained by google, populated areas obviously work best, again lots of trial and error playing around with the altitude. How are you using Satellite Panoramas?